Serving Maryland, Virginia and Washington, DC's well pump and water treatment needs, from installation to service. 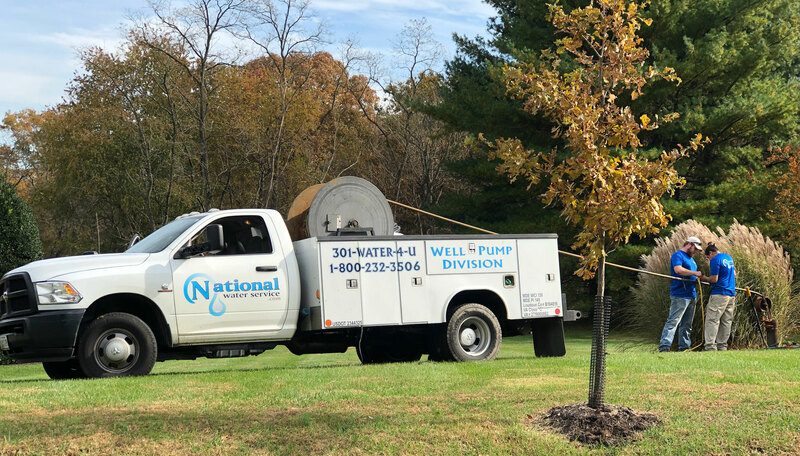 National Water Service is a local Howard-Montgomery County company with a large service area throughout the Mid-Atlantic region as well as Northern Va. Our clients stay loyal to us because we are simply the best in our field. 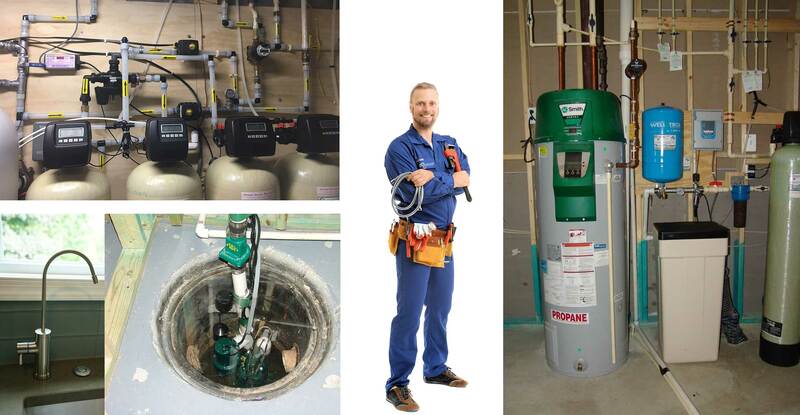 Your installation will be clean, neat, and the plumbing will be level. Every installation will be followed up with an inspection. Our quotes are guaranteed with no hidden costs. We will remain committed to giving you fast, friendly, and fair service. "John & Dave did an excellent job in ALL ways. On time, quality work, knowledgeable, and good job explaining the operation and maintenance of our, new, Water Treatment System. Highly recommend!" "I am constantly impressed by the staff and expertise of National Water Service. I don't know if they're the cheapest but they are price competitive and their service can't be beat." " We have complete confidence in National Water Service and the technician, Paul. He called us to let us know what time he would arrive, and he arrived on time. He did a great job servicing our water filter system, he is extremely knowledgeable and also very nice. Even our dog was impressed with him. We thank you and we give you the highest rating possible. " "The service technicians did a great job of installing our equipment and explaining what's required for maintenance. " "Josh and JD phoned me and arrived promptly when they and the text indicated they would be here. They checked our system out, confirmed the problem, fixed it, explained exactly what they were doing, and all in a very professional manner. Thanks to Barbara for the quick follow up on the phone. Also appreciated the text updates! Still very pleased with National Water's overall service and customer relations! Thanks! Karen and David Dee"
"Paul was friendly and gave me lots of information. He explained options and did not pressure me for services that were available but not necessary. He’s a valuable member of National Water's team. And my dog liked him too! " "Gave me a 45 min heads - up call before arriving and arrived at the specified time. Wore booties in the house, checked the water softness, did check of the system, refilled the reservoir with my salt and changed the filter. Excellent service! " "Paul is terrific. The service has always been prompt and all the techs explain what has been done and what to do between visits." "Very good experience with the 2 guys who installed my new system from taking out the old one to explaining the new one. Nice and professional." "Great customer service. Matt was able to get a technician scheduled quickly to fix a leak in our water treatment system. The technician (Pat) was courteous, knowledgeable, ensured there were no leaks and left the site clean before leaving. He also ensured labor and materials were charged correctly as per services delivered for treatment." 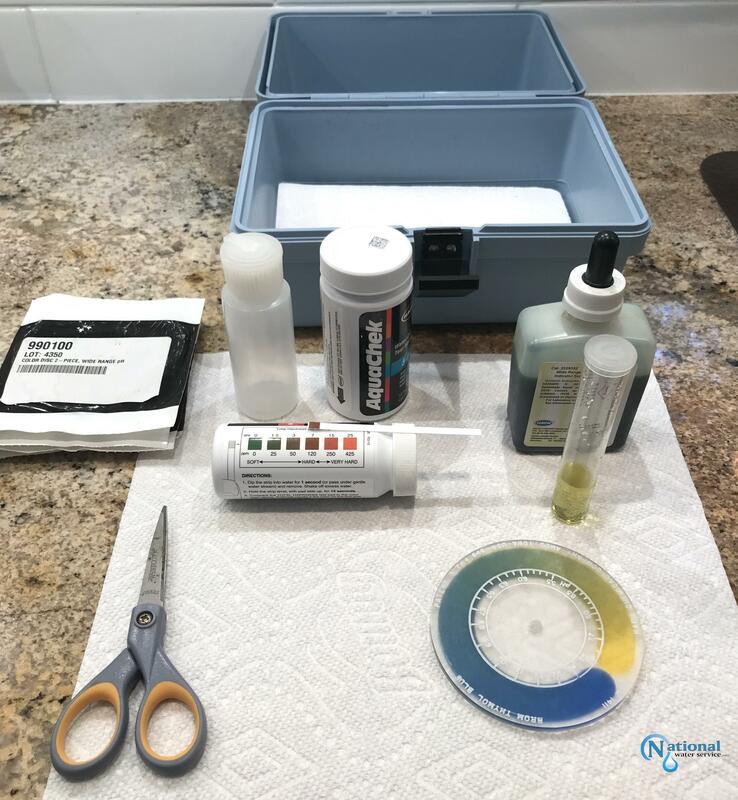 "Technician provided excellent customer service during their visit to my residence to conduct maintenance service to my water filtration system. They were very knowledgeable and polite, informative, and professional in all their actions. Their service visit lasted approximately 50 minutes. Finally, their price was fair. 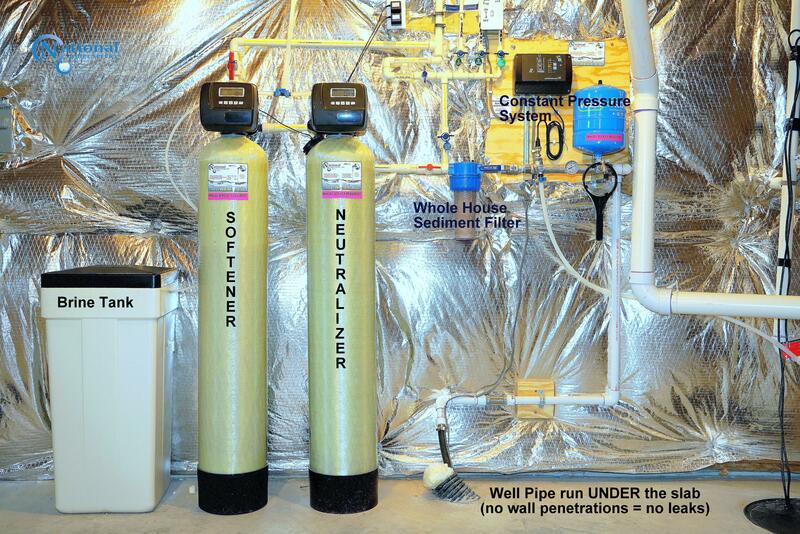 I will continue to recommend the National Water Service in Ashton, MD, for their home filtration system and/or needs." "Very nice, quick and efficient job." "Fast service very reasonable pricing. Great communication Took care of my emergency repair needs. They will be my first call for future needs Techs where very polite"
"Excellent experience overall. Answered all the questions and provided honest advice. Thanks!" "John from NWS was -as always, polite, efficient and on time. He answered all my questions and provided excellent follow up on a valve issue. Top Marks once again from NWS! " 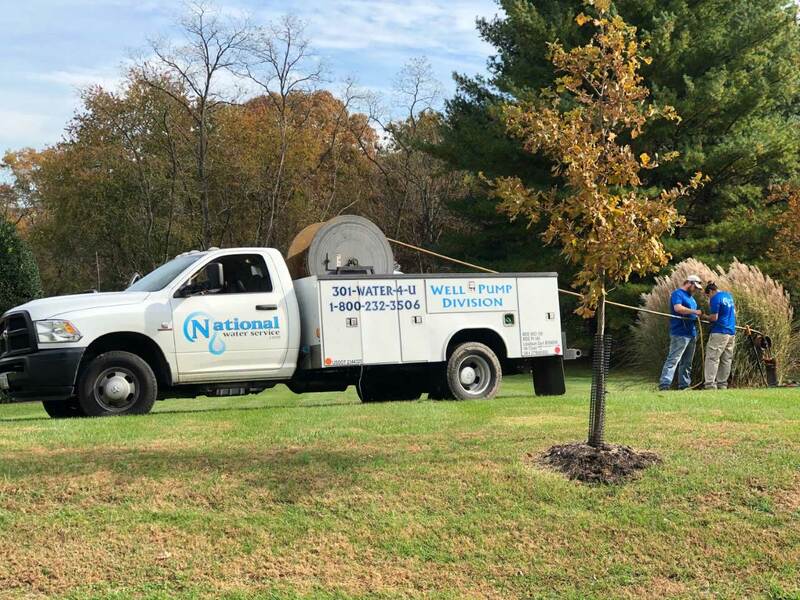 "As per usual, National Water was punctual, offered us a variety of options, did a fantastic job with the install, and had everything back up and running seamlessly. I wouldn't use anyone else!" "David was on time, professional and took the time to answer all my questions. 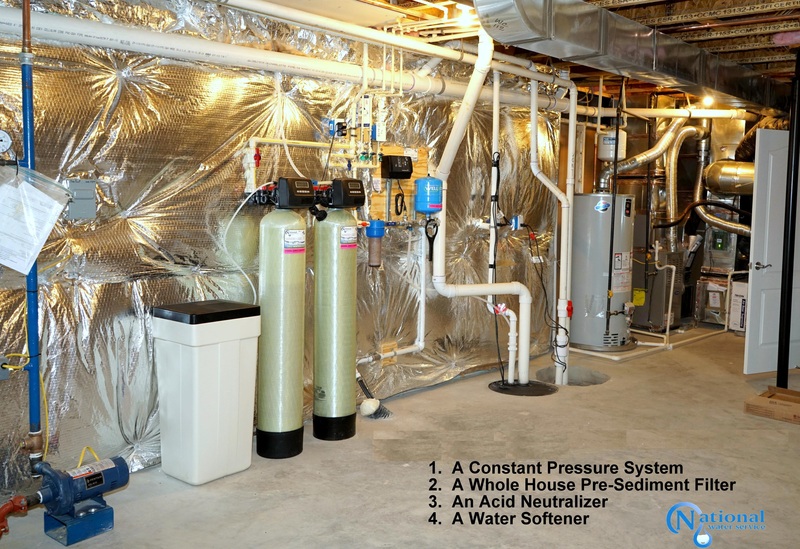 He inspected the water treatment system (installed years ago by another company) and also took a look at my water heater and well cap outside, and made some recommendations. All this and a Radon test for the price of the Radon test. Excellent service. I'm very grateful." "Dave was excellent. He called with his ETA, came fully equipped and prepared to do the required work. Explained what he was going to do and, most importantly, why he was going to do it. He left the worksite clean and orderly and gave helpful suggestions for the future... He is very knowledgeable and has a good customer service skill set." "The knowledge, expertise and service provided by David is second to none. 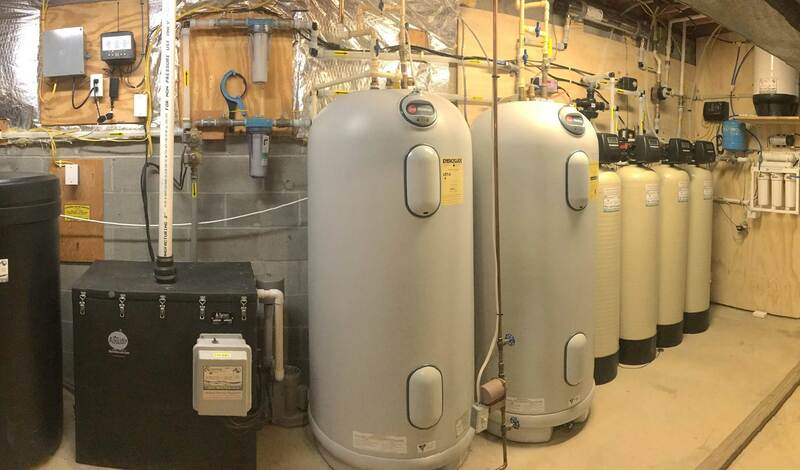 National Water Service installed water softening, and reverse osmosis filtering system that has made an incredible difference in our home. 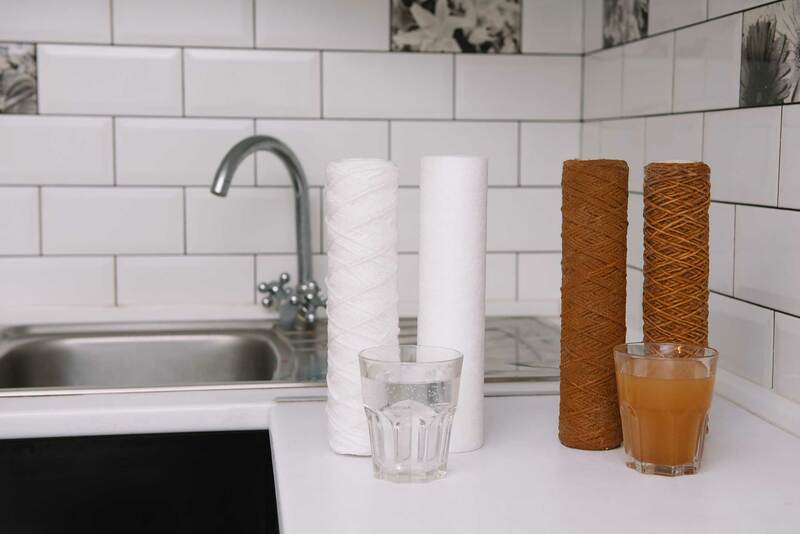 We have no more residue build up in the bathrooms and kitchen on surfaces, and using filtered water has improved both the food and drinks we prepare but also makes our humidifiers and air filters far more clean and effective. 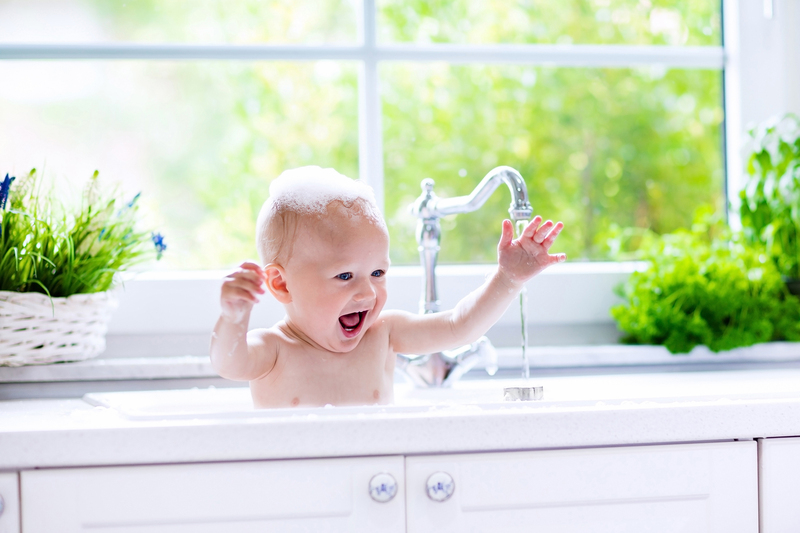 I highly recommend National Water Service, especially for homes on well water." "Exceptional customer service. 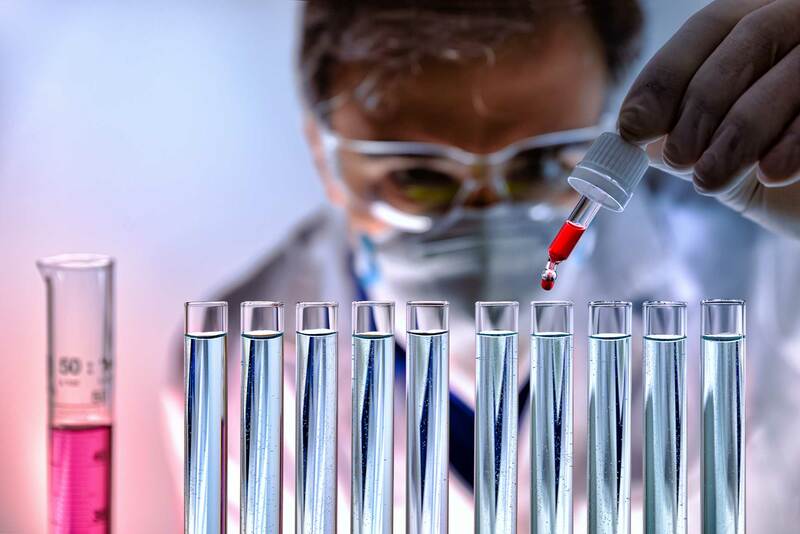 My experience in the past with individuals who are providing a service, some tend to be pushy or obstructive but my technician did not have a dismissive attitude. Pat was patient, honest, and extremely informative. Deserving of praise. Thank you, sir.?" "David at National Water Service is the best in the business. He came over to test my water and spent so much time with me explaining "All Things Water". He went above and beyond as he always does. He is extremely responsive, professional and trustworthy. I highly recommend National Water Service!" "Great service! Professional and knowledgeable technician. Easy to schedule and they send text or email with reminder and notification that they are on the way." "Outstanding service, & professionalism. Highly recommend this company!" "The pair of technicians who came out to our property to service an in-ground well-house braved rain, cold, and several scary-looking-but-non-threatening black snakes to put everything back ship-shape. Great Job!" "Knowledgeable and patient technicians that explain the systems well. Prompt scheduling and excellent communication. I am always happy when entrusting our home with National Water." "They are professional, on time and they get the job done in a reasonable time. 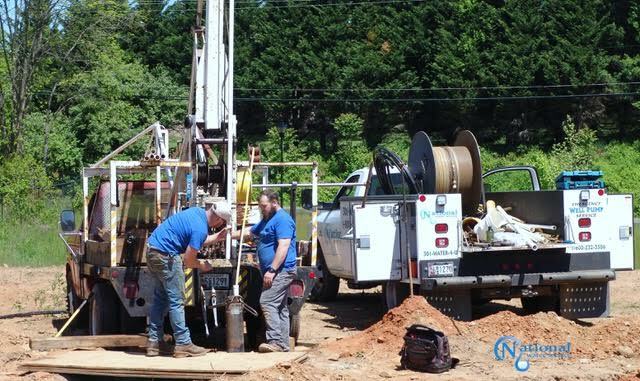 National Water Services highly competent to handle any of your well water needs. I am beyond satisfied with the service that they have provided.."
The two-person crew came right on time and did a thorough job of examining the problem and explaining every step of the work they were doing. They were very friendly and helpful. The price was very fair. The last service we had marks the 4th year we've had our system in place. Each year the service is done on time, hassle free, and with a technician highly knowledgeable about the system and local water supply. Not only is this water system highly efficient, but it's more affordable than other systems we've had. You can't go wrong with NWS! The technician Paul was very friendly, educational, and answered all my questions. I felt he was trustworthy and honest. Our service appointment was good. I would recommend NWS. [Service, Timeliness, Technician] no matter the reason for my call, there is always someone available to handle our needs. yearly maintenance is done on our water system by the same man who helped install it, Paul. i love dealing with him. he is efficient, knowledgeable and pleasant. the owner David has helped me at all hours of the day in any mini-crisis we have experienced and given us tons of information on how things work. i depend on him to educate me as well as advise. I am thrilled to recommend their services and have done so often. From Matt at customer service to Josh our technician, everything was excellent and easy. Josh did a great job with the repair. I highly recommend this company. National Water Service Corp. was fantastic to work with. They were informed, efficient, and polite, and they knew exactly what we needed for our particular situation. They had the equipment ordered and installed in a matter of days. David was a pleasure to work with and we will definitely use them again for future projects in our home! Cannot be combined with any other offer. Present this coupon.